If you’re thinking of dipping your toes into the standards compliance/css development pond (come on in, the water’s fine! ), and you aren’t able to afford some of the swanky courses available out there, a good alternative is to read some books by well-respected practitioners in the field, at least to get you started. Here’s a small selection which I’ve read recently, and have found to be extremely useful. I’ll try to add to the list on an ongoing basis, so you might like to come back and check it again later. 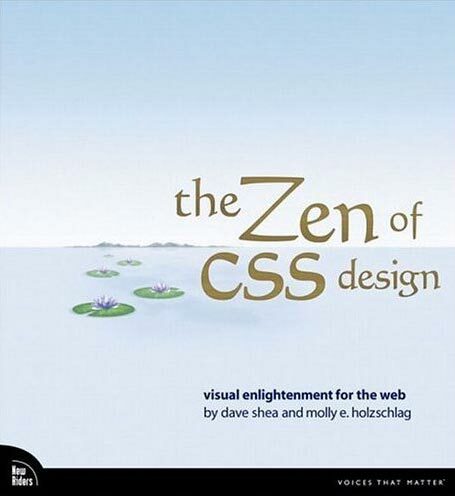 Excellent all-round introduction to using stylesheets for layout and positioning, with practical real-world examples. 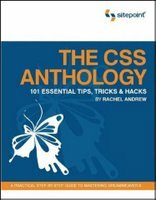 Good for people relatively new to CSS – I knew how to change fonts etc but was pretty green regarding CSS for layout until I’d read this and digested it thorougly. Invaluable for pointers on getting the most out of Dreamweaver 8 and making sure your code validates nicely, is properly semantic and doesn’t suffer from coad bloat. Good chapter on layout of forms without tables. A big, thick wedge of a book (I’ve actually read most of it but not quite all yet). 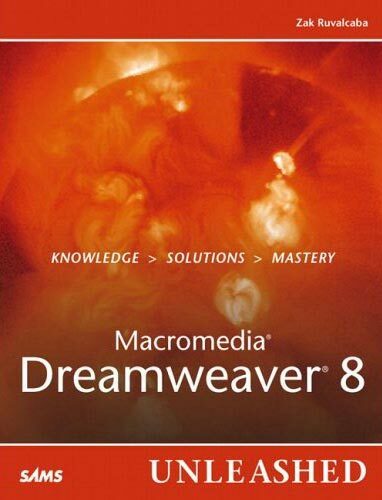 Excellent advice on using Dreamweaver for dynamic projects. 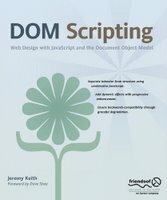 Gives code and method examples for ASP, ASP.NET and PHP server models, which is great as some books limit themselves to one flavour. I currently do most of my dynamic projects with ASP.NET, but in future I’ll be getting to grips with some PHP too, so it’s great not to have to buy another book right from the start. 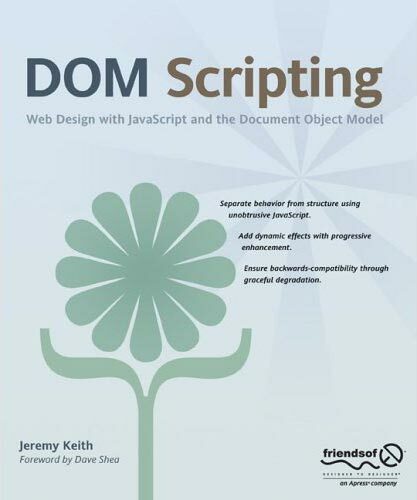 The book of the website. 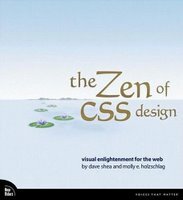 Dave and Molly take a few of the excellent examples from the CSS Zen Garden site, and deconstruct them, with explanations about each technique explained along with copious screenshots (full colour). Yes, you can look at the site directly and try and work out what the stylesheets are doing, but that’s pretty hard if you are a novice, and these succinct explanations are a great help in developing your understanding of how to apply the theory to real-world examples. 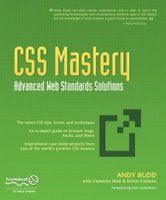 Definitely not for beginners, but takes the examples and techniques to the next level for people who have some experience with coding standards-compliant (X)HTML/CSS. 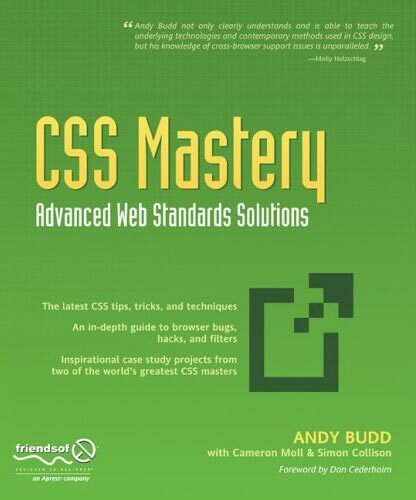 Two chapters at the end, written by Cameron Moll and Simon Collison, bring together lots of the techniques described earlier in the design of two case studies. That’s it for now, although I have a big fat PHP book sitting on the pile to read. I’ll add more when I’ve had time to digest that. 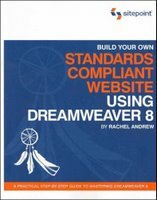 This entry was posted in books and tagged andy budd, books, css, dave shea, dom scripting, Dreamweaver8, jeremy keith, mollymolly holtzschlag, rachel andrew, reading, standards, zak ruvalcaba. Bookmark the permalink. Lol. 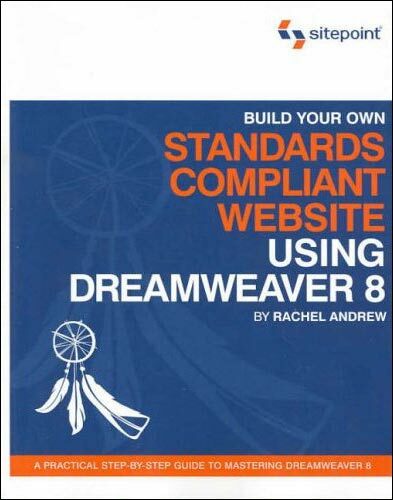 “If you’re thinking of dipping your toes into the standards compliance/css development pond”. It’s funny, I was thinking that very thought, as I randomly found your blog. Lol. I do agree with you, though, that gender should be irrelevant.